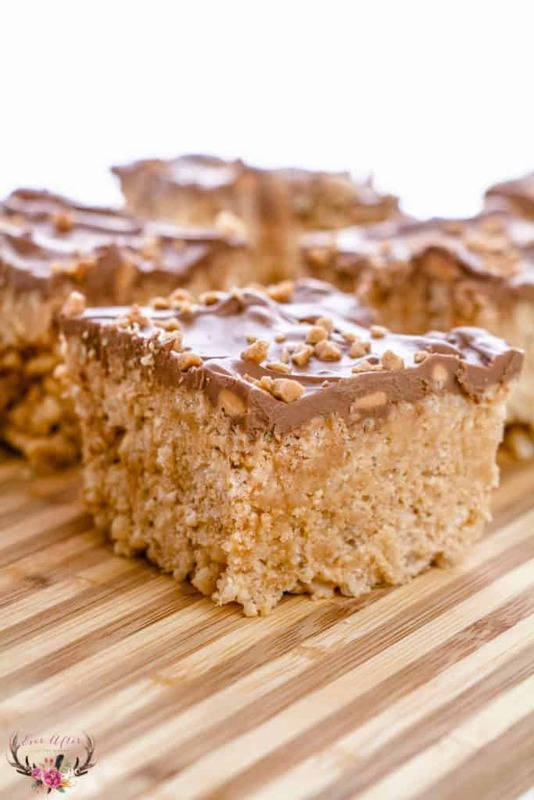 Scotcheroos are a dessert with butterscotch, chocolate, peanut butter and crispy rice cereal. 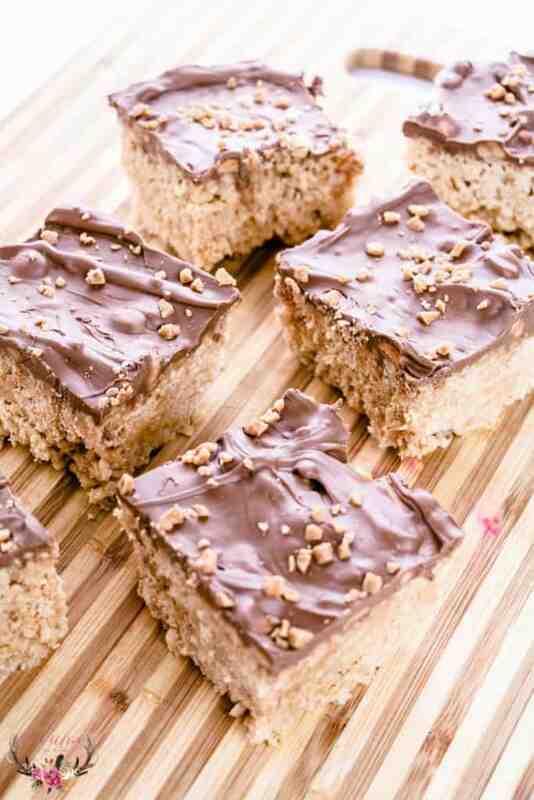 I swoon for this delicious dessert bar. 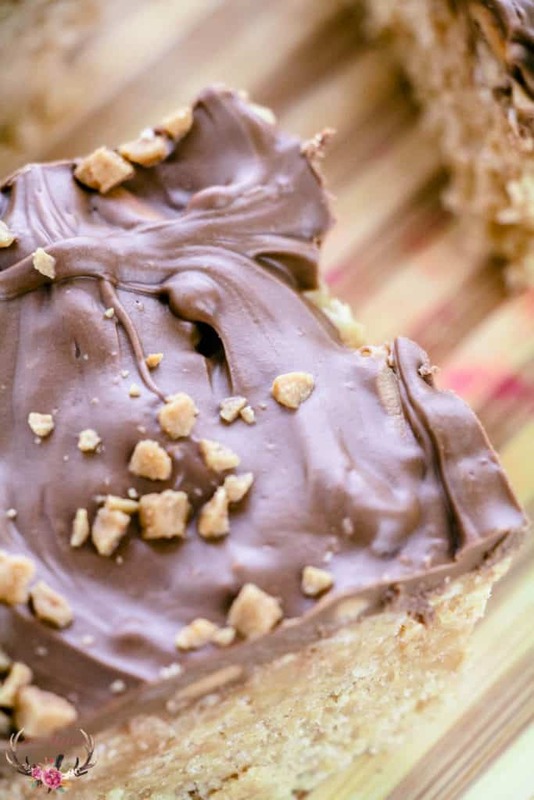 Making Scotcheroos is really easy and I find that everyone enjoys the combination of ingredients. 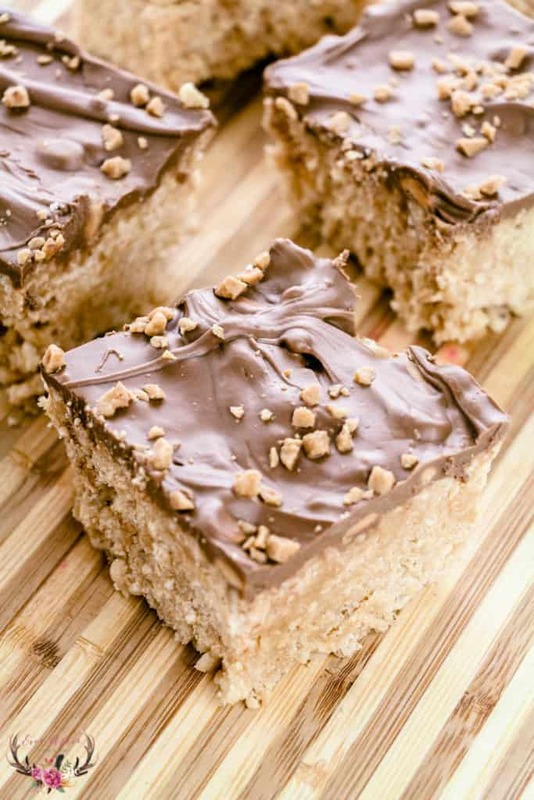 Personally, I like anything that has peanut butter included but these cookie bars are a great treat all year long. Grease and line a 8″ x 8″ casserole pan and set aside. Pour the rice cereal into a bowl and set aside. 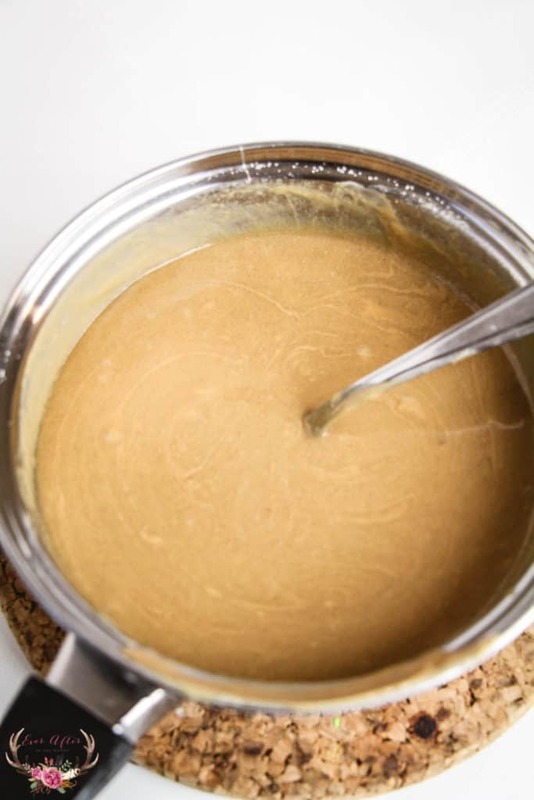 Combine the white sugar and corn syrup in a saucepan and heat over medium heat. Combine the corn syrup mixture with the rice cereal and stir to coat evenly. 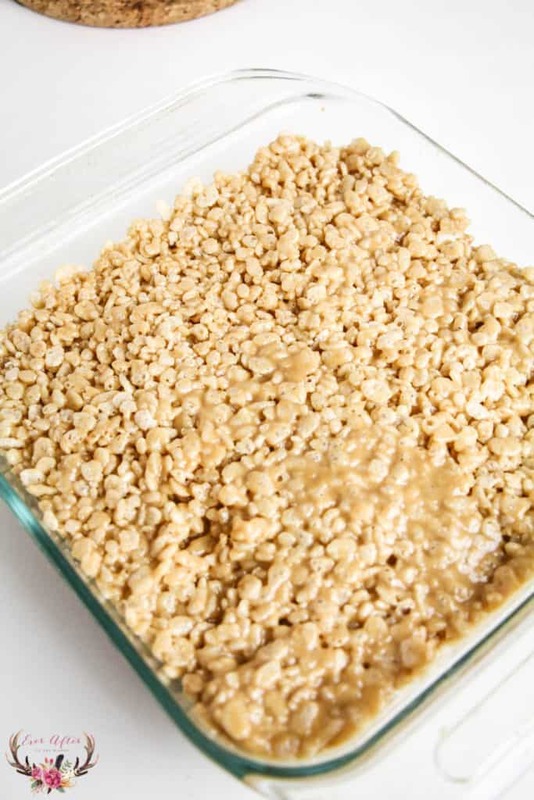 Fold the rice cereal mixture into the casserole dish and set aside. 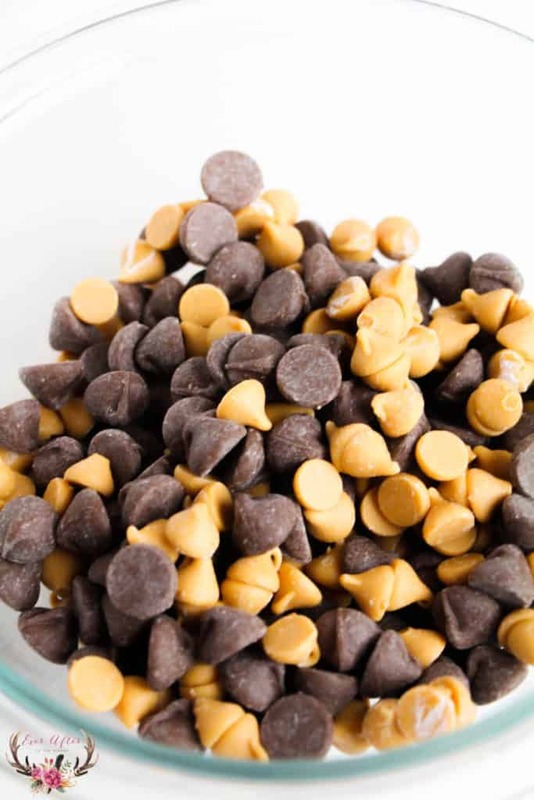 Combine the butterscotch and chocolate chips and melt – either using a double boiler or heating in the microwave for 30 second bursts, stirring in between reheatings. 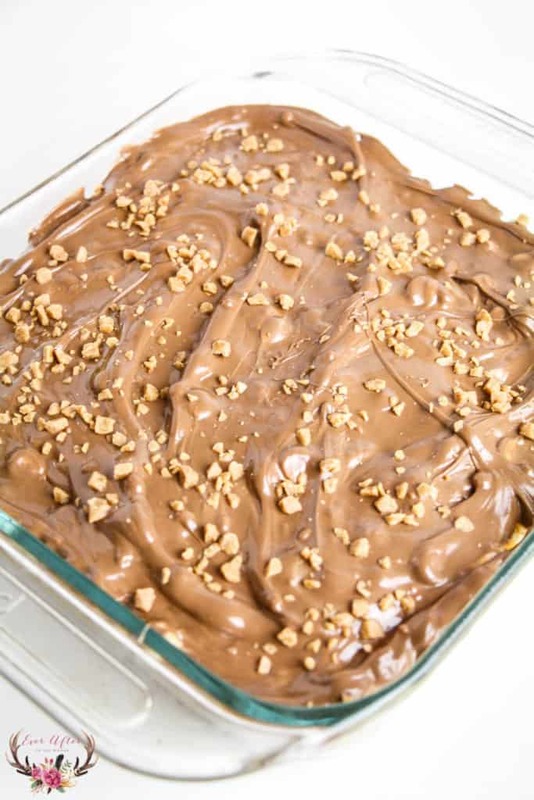 Sprinkle the toffee bits over the melted chocolate and allow to set for 2 hours, or overnight. Yes! In my opinion that makes this dessert even better. I like to cut mine into squares and freeze in a zip top freezer bags. 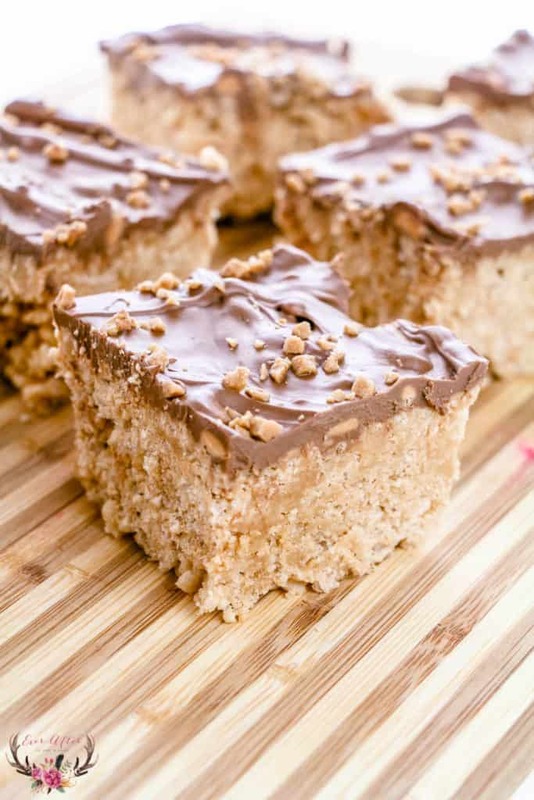 These Scotcheroos are a perfect dessert for school bake sales, parties and more! 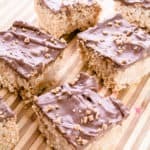 If you love this recipe please have a look at this apple crumb bread, double chocolate chip cookies, cinnamon cookies and biscotti. I love all things sweet and these cookies are all yummy.